I’m so proud of my little girl. 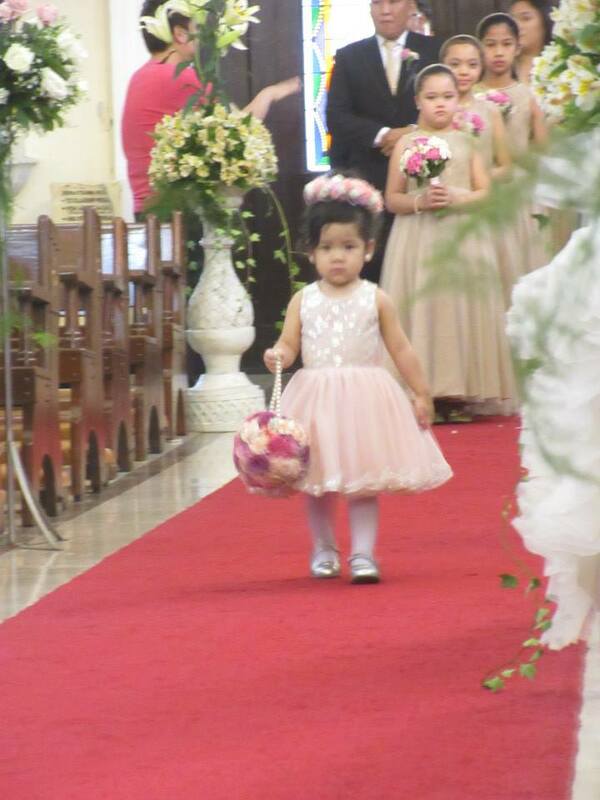 She had her first flower girl stint at the wedding of my cousins King and Catherine and she did superbly. We just practiced walking the night before the wedding after eating dinner at The City Club. She wasn’t paying attention much so I thought that the next day would be a total disaster and that my husband would end up carrying her. The next day, we got to the church early, so she has time to practice and to acclimatize herself to the surroundings. My husband and her took several walks down the aisle. See how cute she was! All our practice paid off! haha! But the real horror (maybe I’m just exaggerating a little) was dressing her up. I know for a lot of mommies, dressing up your child can be quite a challenge. For Zeeka, oftentimes, it’s easy to dress her up. 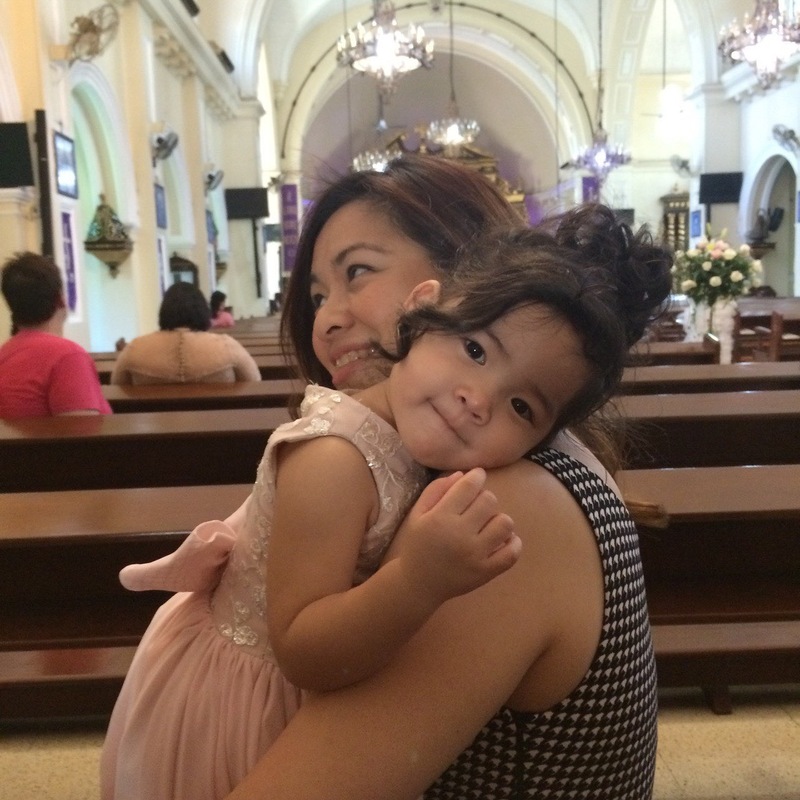 I think all that #BabyOOTD when she was little did us good, but sometimes, when she’s not in the mood, the mere sight of the clothes brings her to tears. Distract him or her! When she is about to burst into tears, I choose a toy that she can concentrate on and I give it to her. Normally for Zeeka, her ‘toy’ is a bag of clips and accessories. She loves taking everything out of the little container and she loves packing them away again. Choose comfortable undergarments. 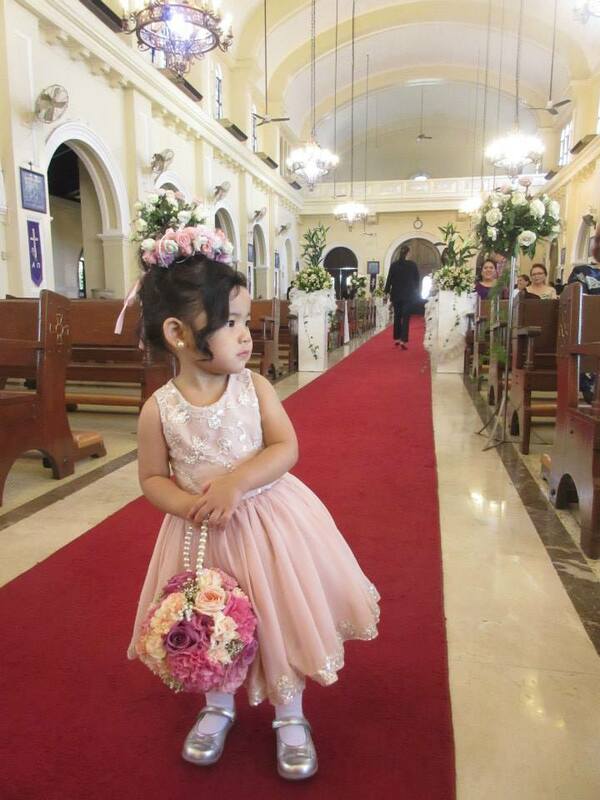 Oh, for this particular dress (the flower girl dress), you’ll notice that the tool or the cloth under can be itchy. What I did was I bought white comfortable stockings at Mothercare, so that this is what her skin comes in direct contact with. Plus, she really looked so cute wearing the stockings! Make dressing up a fun activity. 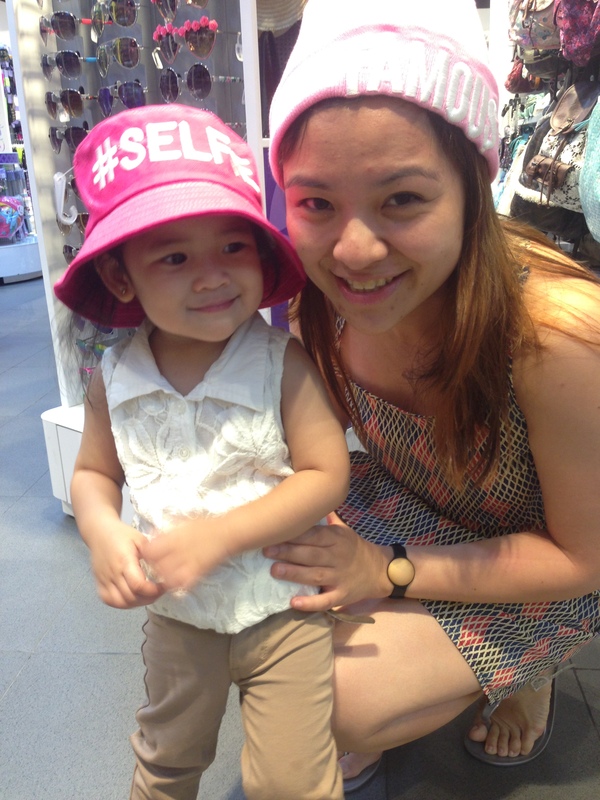 My daughter loves to wear hats; thus, we had this picture taken at Claire’s. What I do is that I always make dressing up or trying on new accessories fun for her. When she was little, I’d make dressing up feel like playtime and it really helped a lot. How about you? 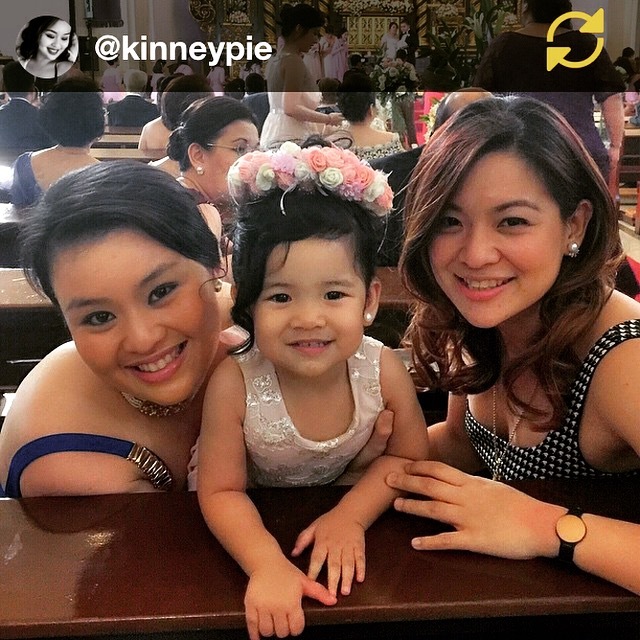 What other tips can you share with other mommies on dressing up their child? Feel free to leave a comment below! 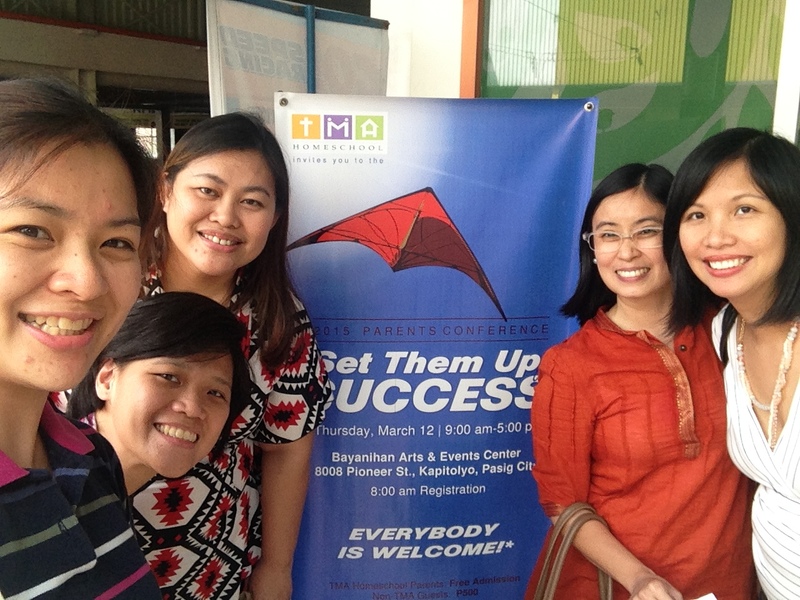 Yesterday, we had a meeting with TMA Homeschool, a homeschooling provider. 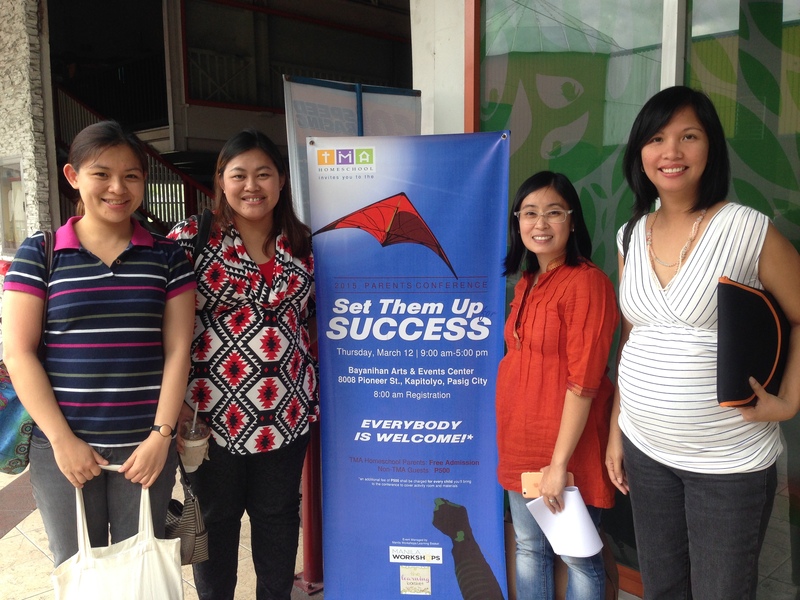 This year, we have partnered with them and the Learning Basket to bring you the 2015 Parents Conference here in the Philippines. This year’s theme is something that I think every parent is interested to learn about. The theme is Setting them up for Success. If you haven’t signed up for this, we hope that you could join us on Thursday. The online registration will only be until Monday so HURRY and sign up now! This event will be from 9:00 am to 5:00 pm on March 12. This event, entitled “Set Them Up for Success”, is set to enlighten and inspire you to raise your children to become happy, responsible, productive adults and leaders “wherever they are planted”. The event will run for a whole day and will consist of keynote topics like “Set Them Up for Success” and “Catching your Child’s God-given Bents for Success”. 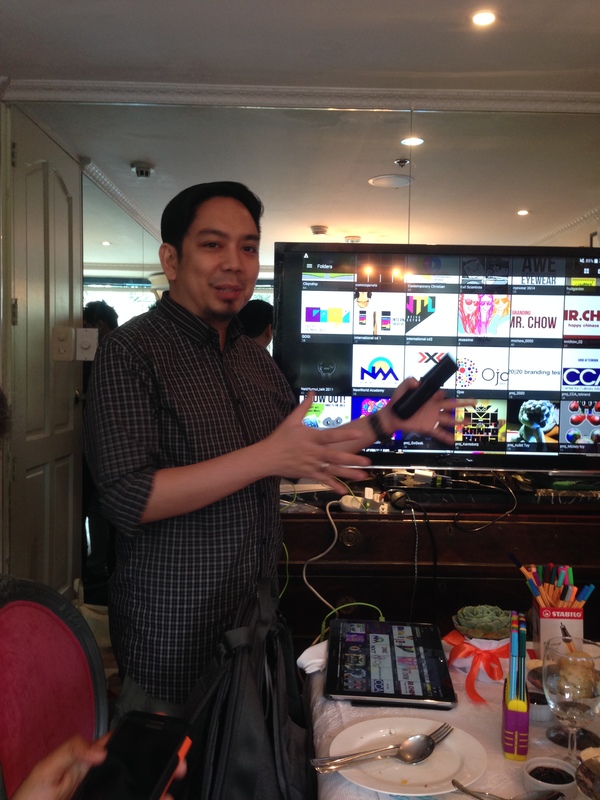 Speakers will include Edric Mendoza of TMA Homeschool and ANC’s On the Money and Jayson Lo, author of Younique. Aside from keynote talks, the conference will also feature the following workshops. You may choose one track each from workshops A & B. This conference is open to everyone. Register today! Free admission for TMA Homeschool Parents. Fee is P500/head for non-TMA-ers. We gently encourage you to leave your children at home so that we can all focus on the conference. Should you decide to bring your children, there is a fee of P500.00 per child 2 to 16 years old. 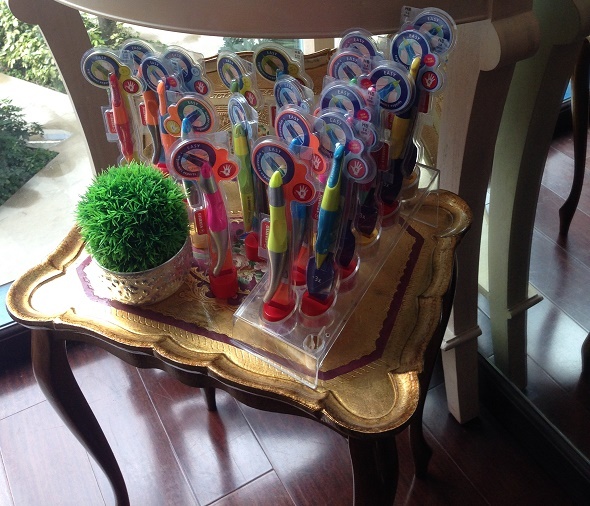 We will provide activities for children in the preschool to elementary ages but our children’s room is limited to 20. Older teens will stay with their parents in the conference halls. 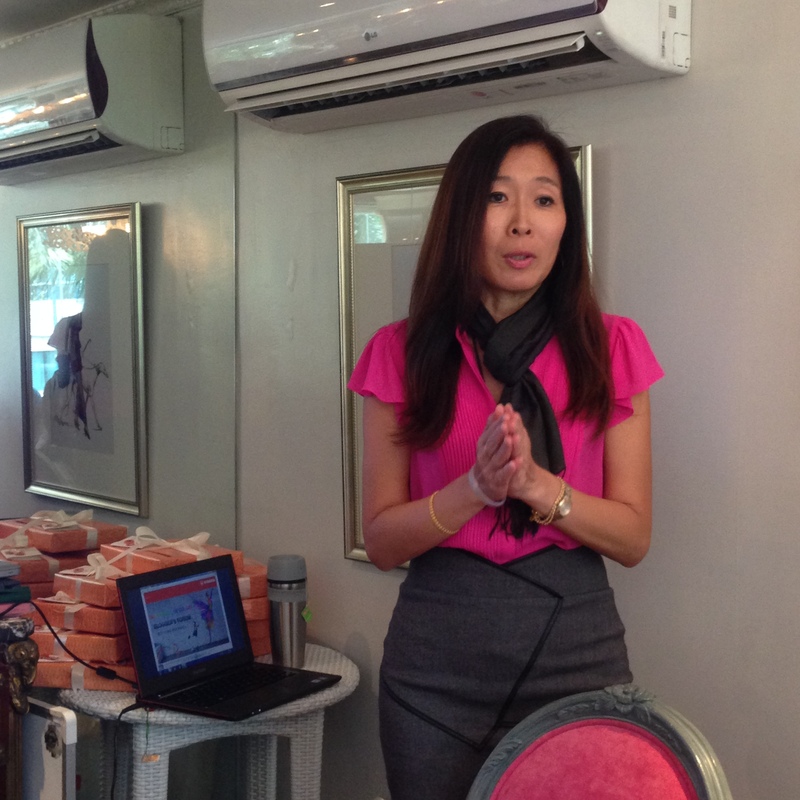 Breastfeeding moms can bring their babies along but yayas will also be charged P500.00. For more information about the event, please feel free to contact Alyssa Chua via landline (234-0432 loc. 114), mobile (0917-8491409), or e-mail (alyssa@tmahomeschool.org). The other day, we had an investors meeting and we had to ask for additional funding. Since I was the CFO, that was my task. That day, I wore jeans, a blouse and I just let my hair fall. 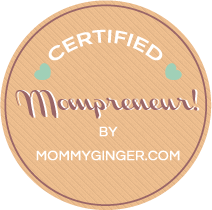 My business partners would tell me to up my game (well, not only on that particular day, but several times) by putting make up on, fixing my hair and dressing really well. The thing about me is that I’m a no-make-up kind of a gal (even if friends tell me that I really put on make-up well… thanks to my course at Maquillage Professionel) and I’m a jeans-shirt gal. Plus, I have a hard time fixing my hair. I have no clue on how a curling iron works plus my blow dryer at home got busted (after only using it three times). 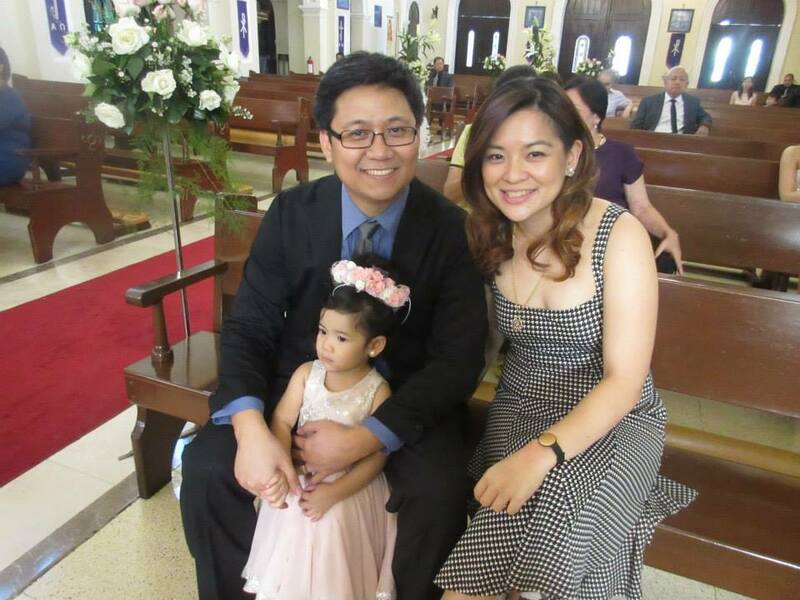 Last Monday, my family had to go to a wedding. 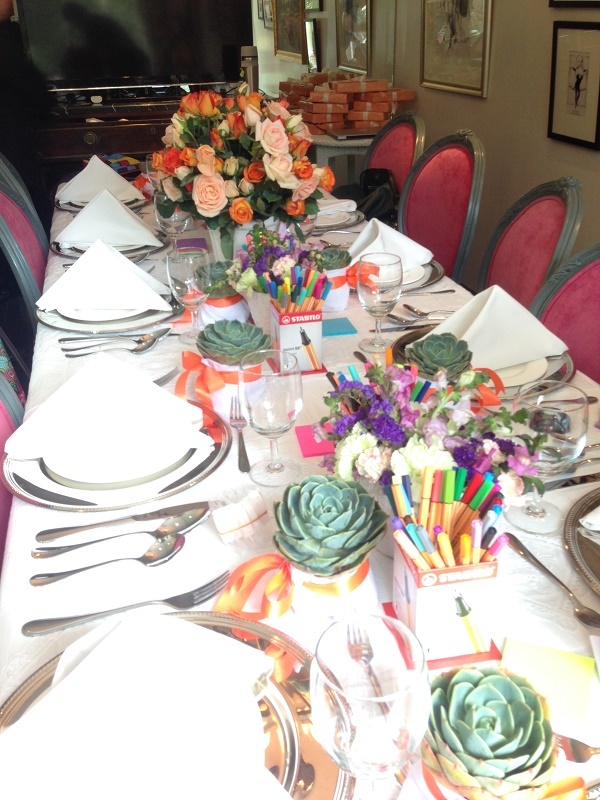 It was of my cousin and I wanted to look pretty and prepared since it was a formal event. 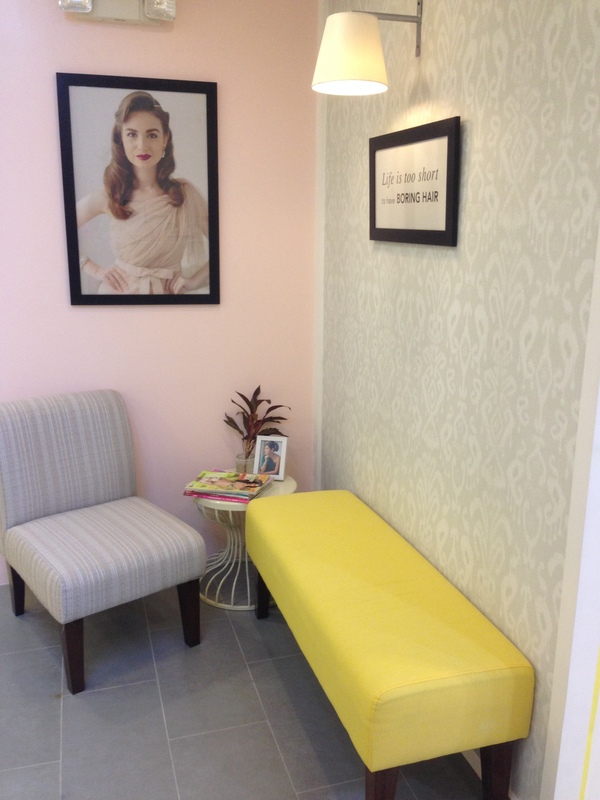 There is this new mall in BGC called 8 Forbes Town and on the second floor was a blow dry bar called Flair Blow Dry Bar. I wanted to check it out because the place was really cute and dainty. The staff were really friendly (one of the owners was there too) and service was great. I decided to try it out because the rates were really affordable that one can afford having their hair done every single day. They had this list of do’s that you can try and these were my favorites. Finally, I decided what I want to do with my hair! So I finally decided what I wanted to do with my hair, but of course, it was the suggestion of the one who did my hair. Haha! 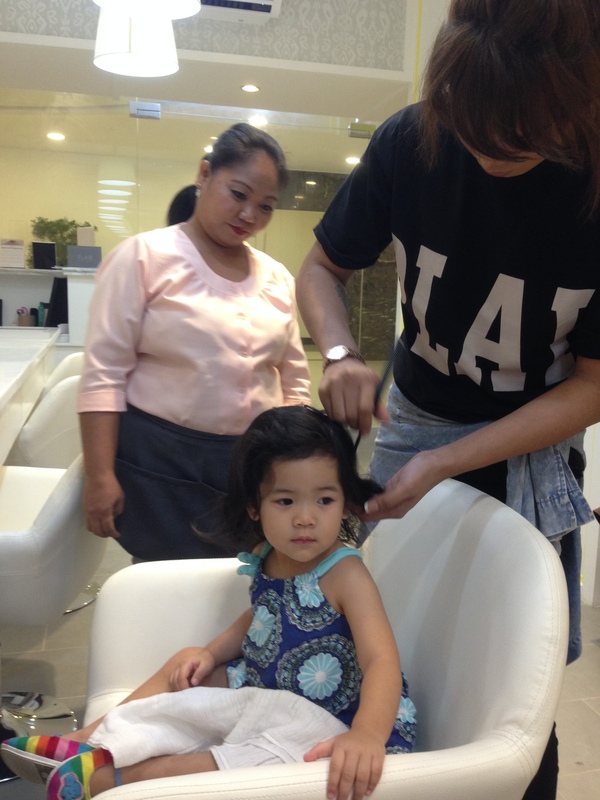 He suggested something a little bit bigger (like Toni Gonzaga’s hair) with curls. 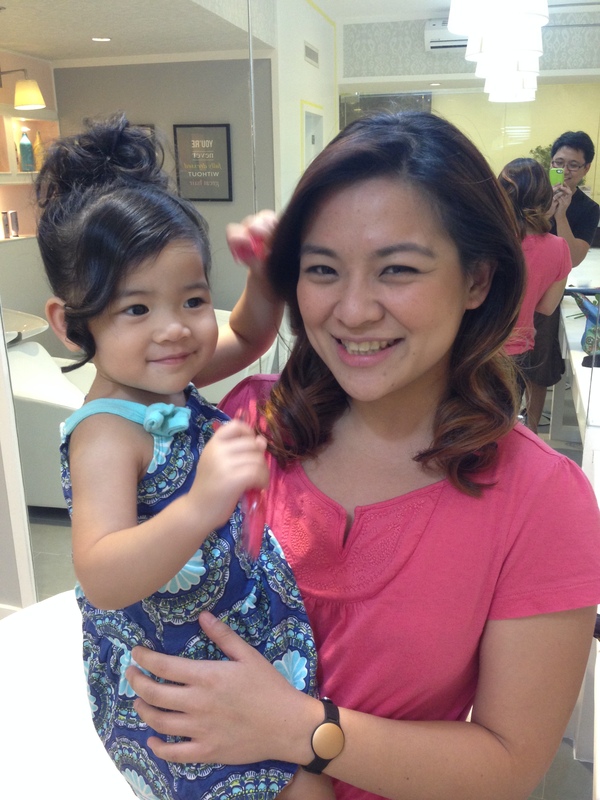 My daughter also had her hair done since she was the flower girl at the wedding. 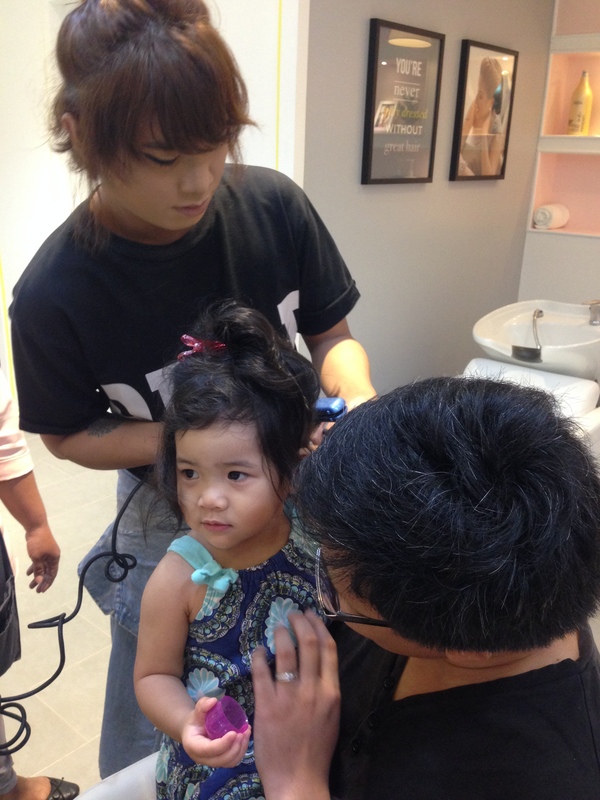 I was really excited for her since this was her first time in a salon (apart from her first hair cut). I knew she had a to wear a crown of flowers so I told them that her hair must be something that can hold that hairpiece. I’m so proud of my daughter. She didn’t cry at all! She seemed to enjoy it! 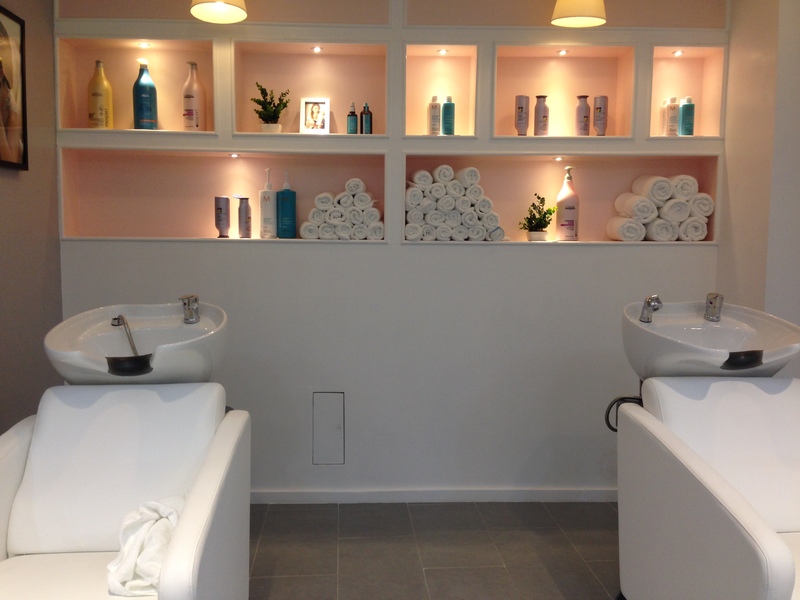 This is how we looked like after, and we loved it! She was so happy she waved at every one she saw! Me and my little darling! My sister, ManilaShopaholic.com, my daughter and me! 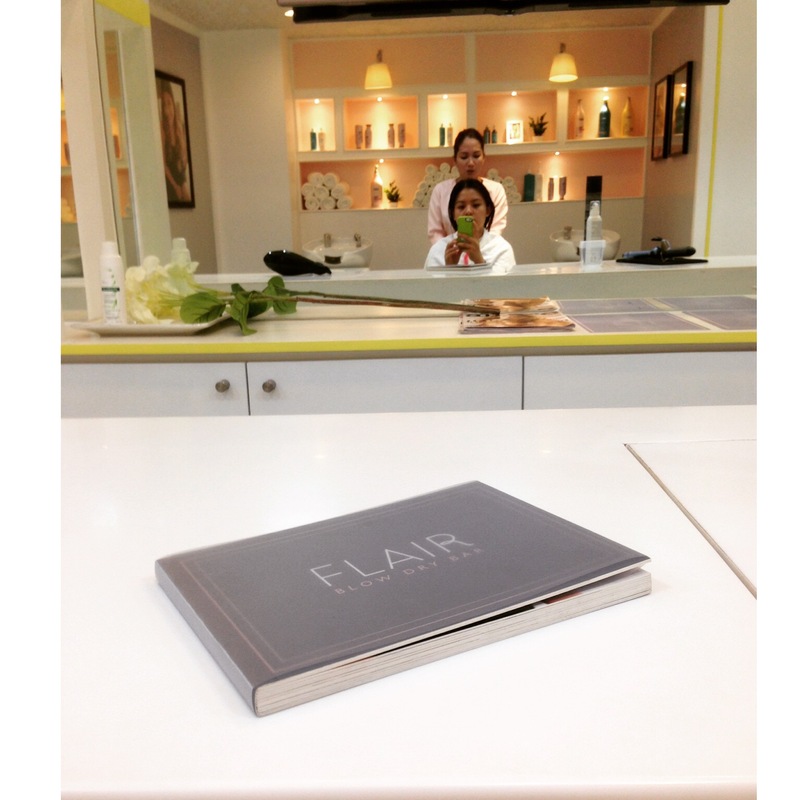 Thank you Flair Blow Dry Bar for the great experience. I think you will see me a lot! Haha! Create DIY Toys for your Kids! We live in a day and age where we need to be practical about our purchasing decisions. 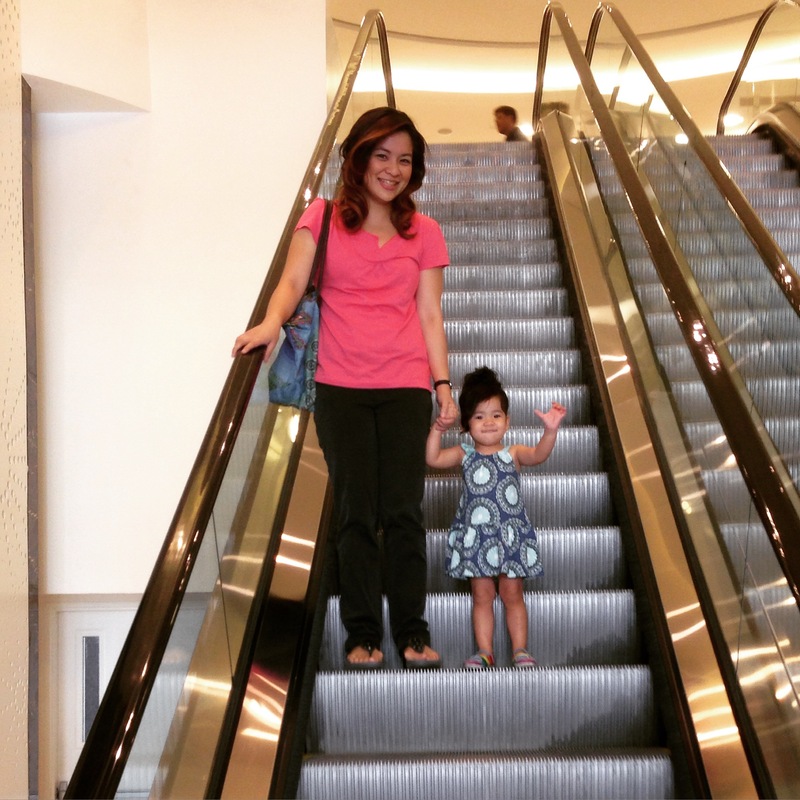 I had this conversation with the wife of a speaker partner and she gave me a great tip to avoid tantrums from your children when you enter the grocery or toy stores. She advised me to give them money (ex. Php 100) and teach them to make choices with what they will do with the money that you gave them. I will definitely do that when my daughter is older. Since she is still young, all she wants are really toys. 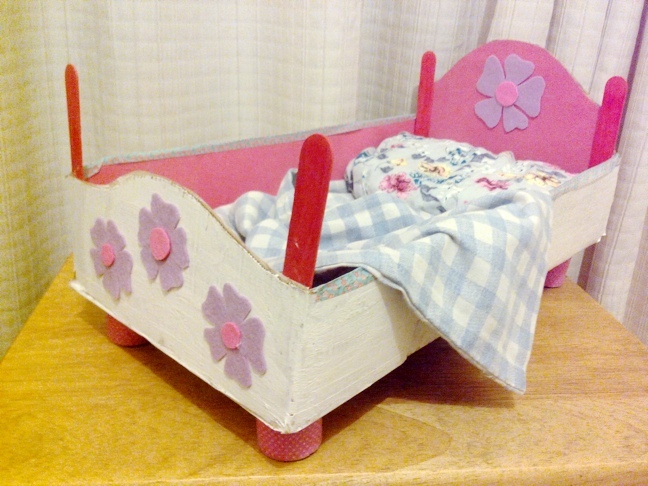 Another good tip for moms and dads out there is to create DIY toys for your children. 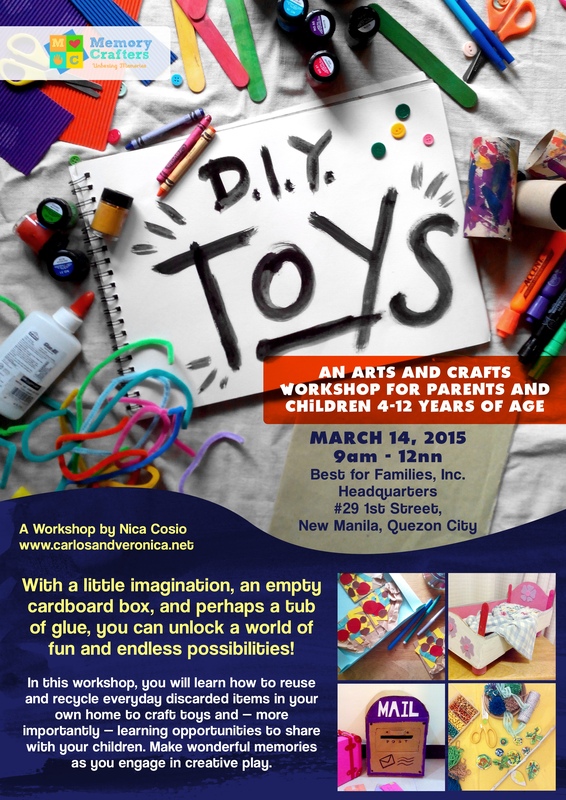 If you do not know how to make toys, here is a workshop that you can go to! – Discover how making things together can benefit your relationship and teach your children important values. 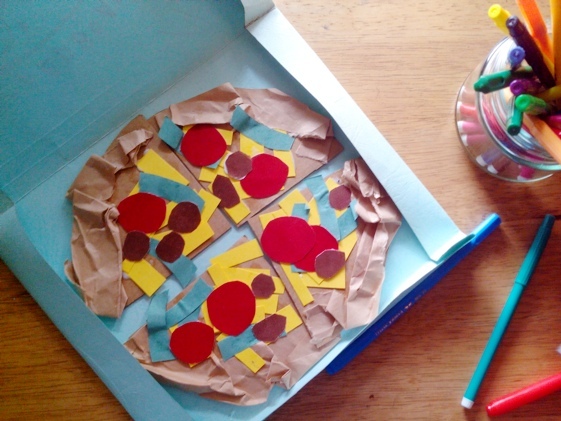 – With an ample supply of materials such as empty cardboard boxes, bottle caps, sticks, yarn, colored markers and glue, you and your child will create toys and other fun things together. – Within the session, you will make three different objects. Two will be taught step by step, easy enough to learn, while the last one will be an original concept you and your child will come up with. That will be your chance to use your imaginations together and get as creative as you can! 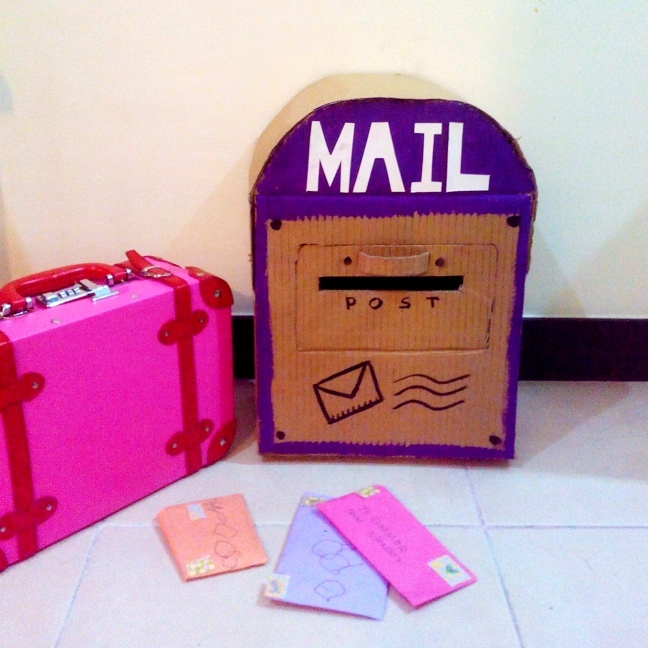 – Learn how to save junk at home which you can reuse and recycle to make fun things on your next arts and crafts session! Fee is inclusive of handouts, food, kit & freebies! I have a colorful life and I am thankful that I do. There is never a dull moment. I intentionally need to slow down most of the time. Last week, there was a day when I had an early meeting that started at 9:00 am. The meeting was about interesting workshops that we will have this year with LifeQuest. 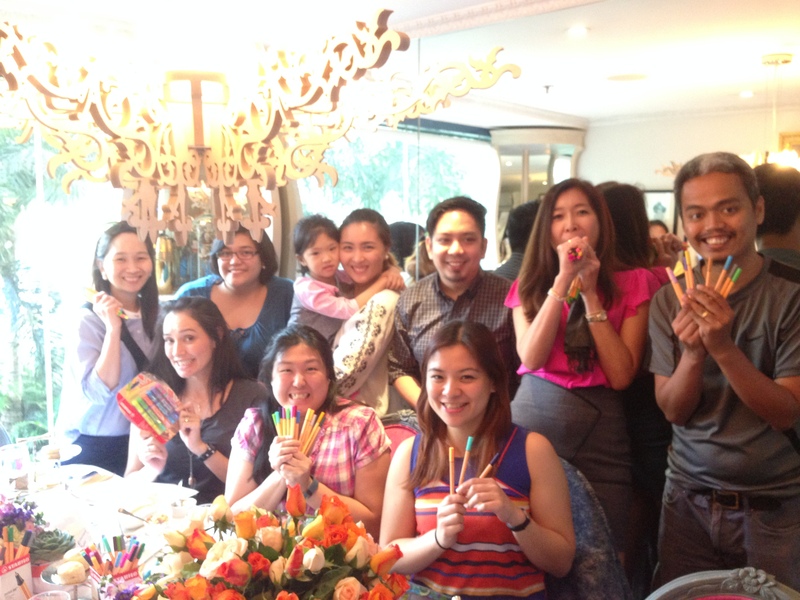 Then early that afternoon, I went to a very pretty and colorful event that was held at Bizu at One Rockwell. 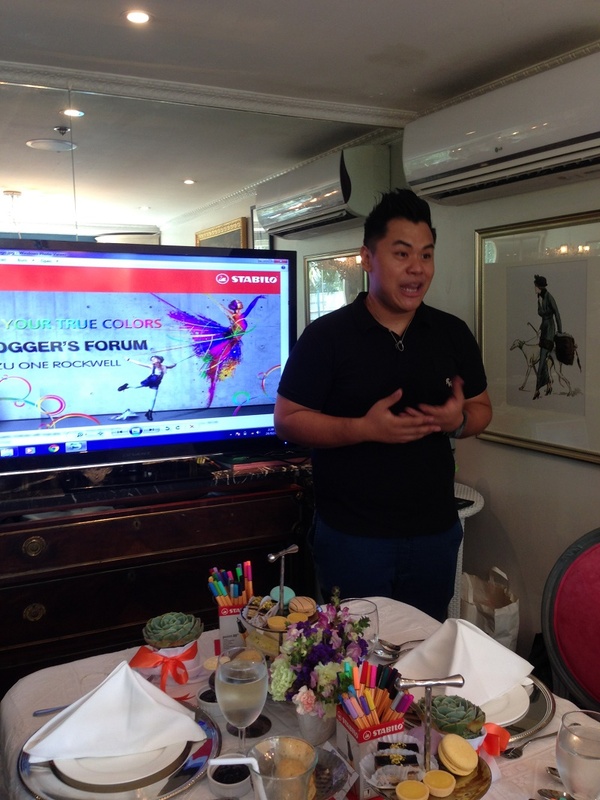 The event was a Blogger Forum hosted by Stabilo Philippines. The afternoon started with a presentation from Blaise and Lishel from Stabilo about the different products that they have. 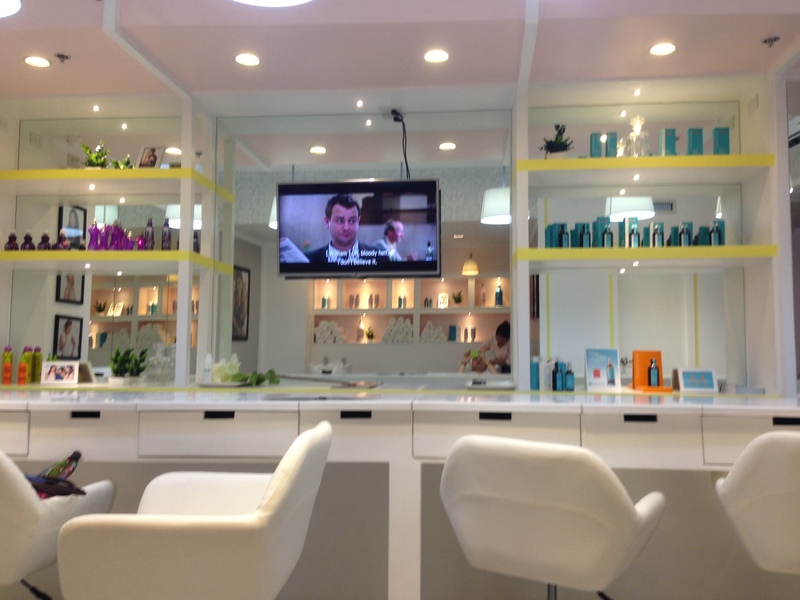 I was amazed with the range of products that they have. I’m sure that you are all familiar with the Stabilo Boss Highlighter. We have known Stabilo for years because of this product. We have used it to highlight our notes when we were in college. We have even tried to use it as nail polish in Grade School and High School. 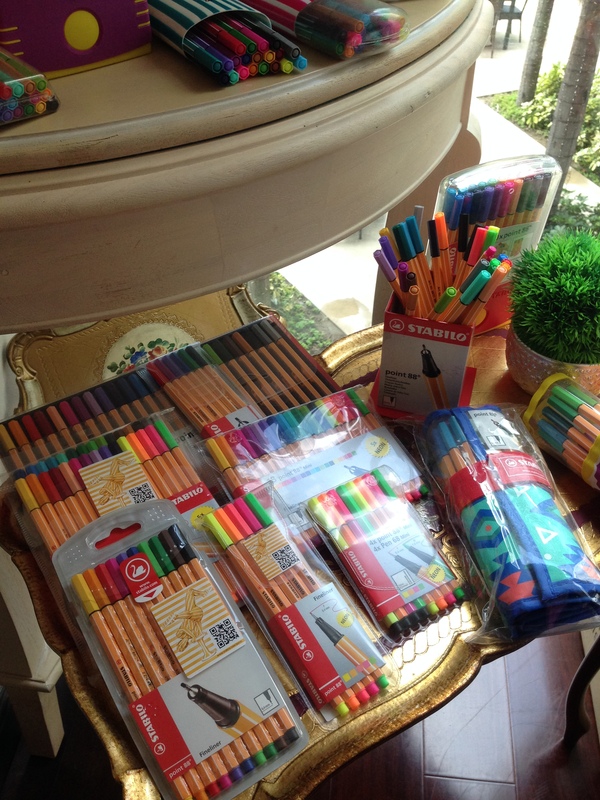 But, do you know that aside from highlighters, Stabilo has products for coloring and writing. 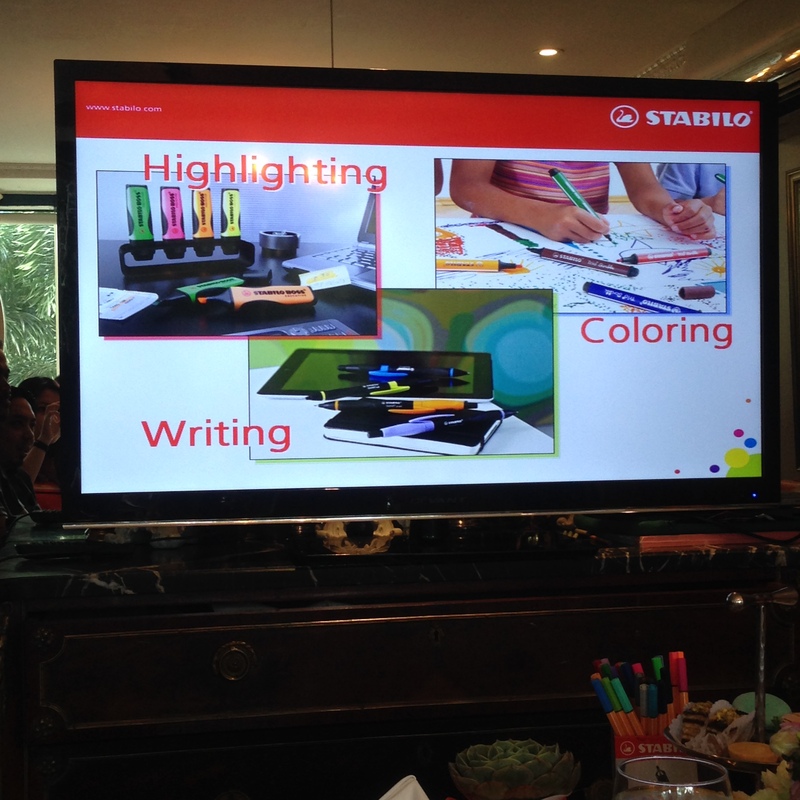 When the representatives of Stabilo briefed us about the different products, I thought that the afternoon was not enough. They had so many products! 1) SCRIBBI – I remembered it because it had a spring loaded tip. This tip is perfect for toddlers who still don’t know how to hold a pen. Normally, they would jam it, but the spring loaded tip prevents the pen from getting destroyed. 2) .88 – Ooooh! I love this pen. This is what the event was for. I love that I can use it for taking down notes. I love writing in notebooks. My planner is a Moleskin planner that is basically a notebook, with lots of lines to fill for each day. 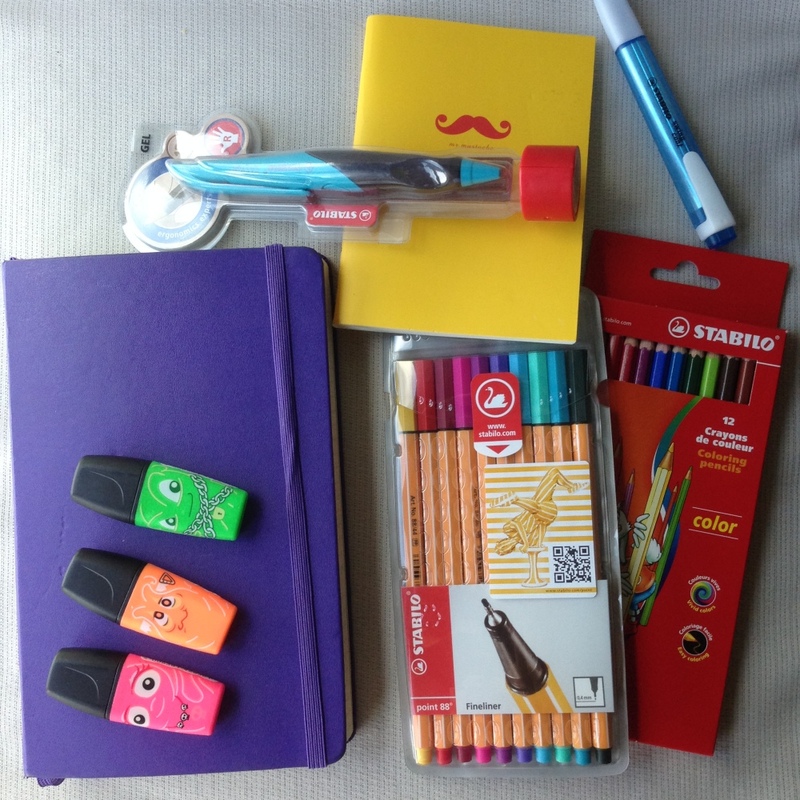 A good tip that I got from Stabilo that day is that you can color-code your notes. You can use a different color for every activity that you have (ex. red for my coaching tasks, yellow for Manila Workshops, blue for the home, pink for tasks related to my daughter, etc.). 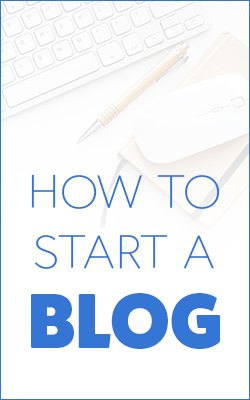 I will do that starting March. I have always used a black pen, which gets kind of boring already. This will definitely inspire me! 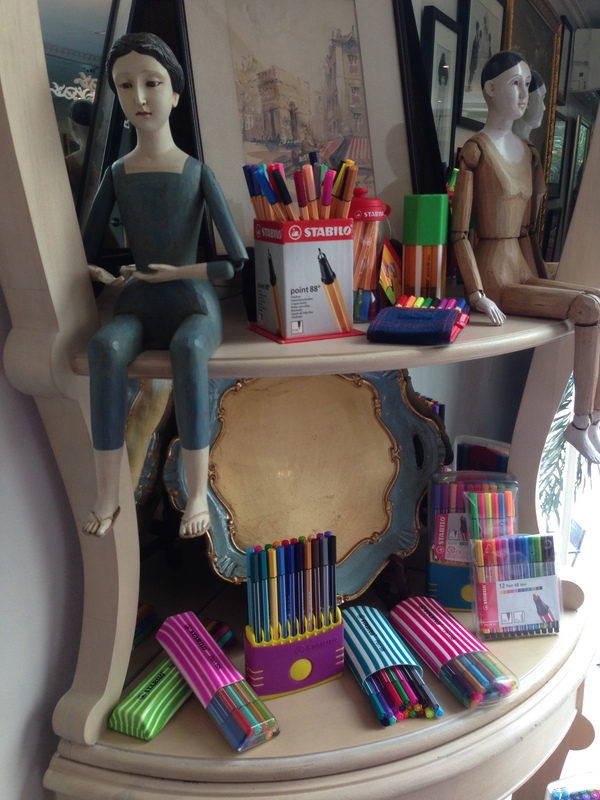 3) Cappi – Kids normally lose the cap of pens. The cappi has a ring that connects the cap to the body of the pen so you need not spend time looking for the cap again. 4) Woody 3 in 1 – I am definitely buying this. It’s called Woody 3 in 1 because it is a colored pencil, watercolor and wax crayon all in one. Ain’t that cool? My daughter can write on our glass windows if she likes! haha! And guess what, it’s washable! 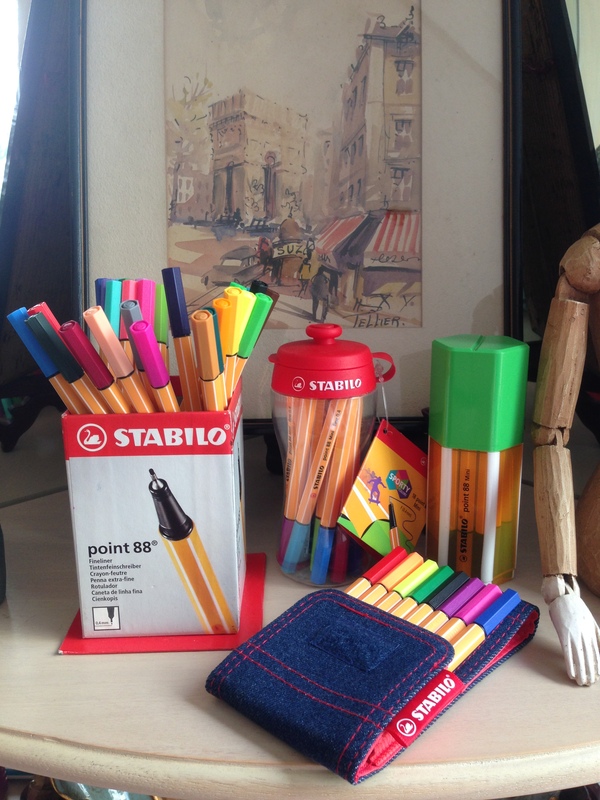 5) And the best discovery was that Stabilo has a line of ergonomic pens: STABILO EASYergonomics experts – These pens are made for strain free and relaxed writing. I remember going through pages and pages of homeworks and assignments when I was young. I still have the callus on my finger to remind me of that. I guess, I was not writing properly. 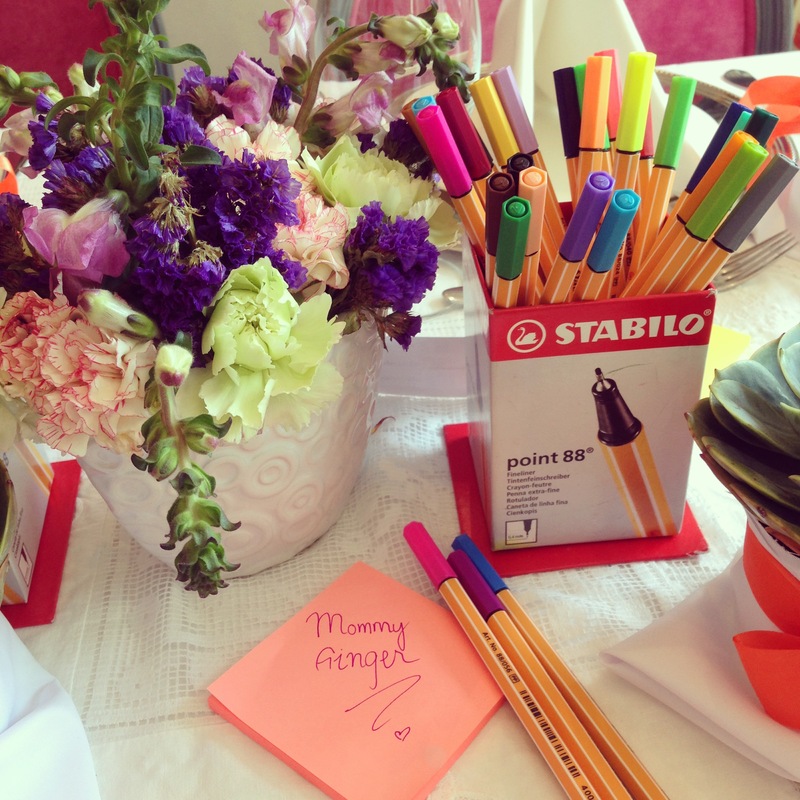 Now, the next generation can enjoy writing with these products from Stabilo. 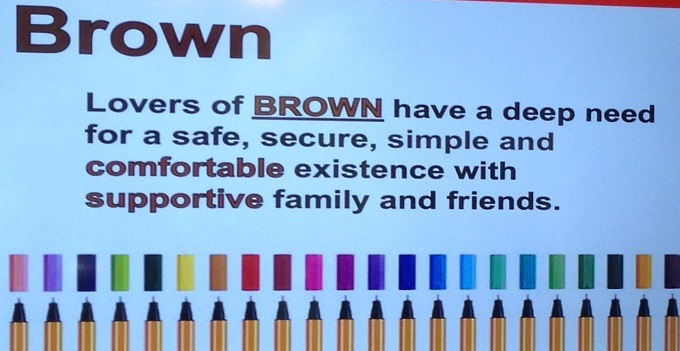 What’s nice also is that STABILO creates pens for right handed and left handed individuals. 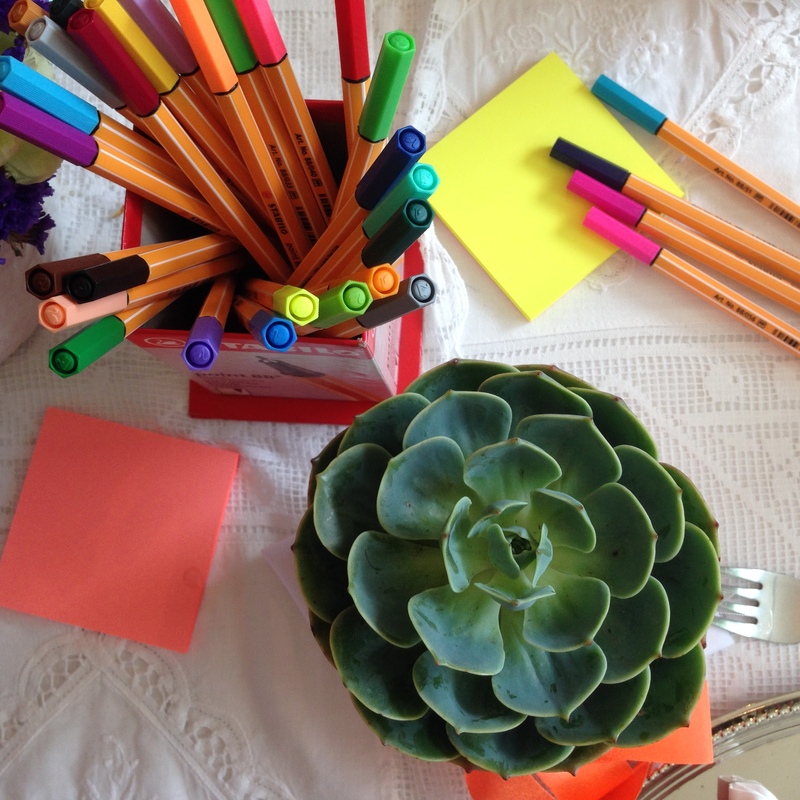 The Blue Gel Pen on top is an Ergonomic pen that is made for right-handed individuals. 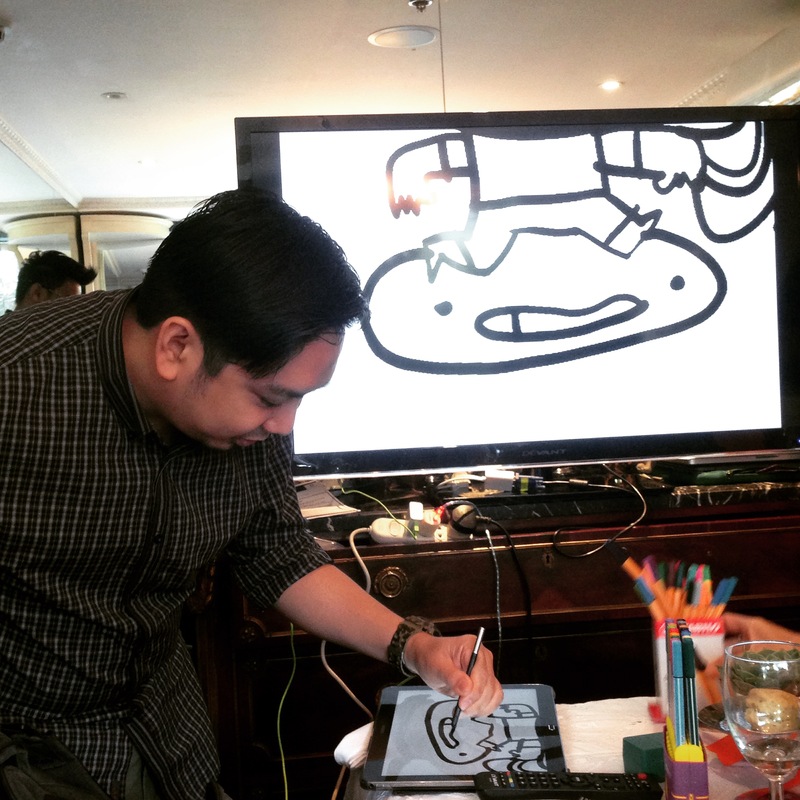 That afternoon, I was blown away also by the amazing talent of Nelz Yumul of Wee Will Doodle. He gave us tips on how to Doodle! Enjoyed the afternoon with these bloggers! 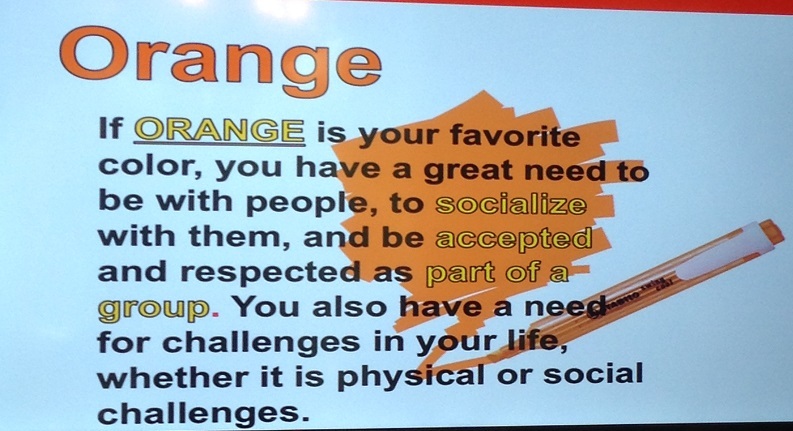 Oh, I also loved this part of the day when we were given guides on identifying your personality based on your favorite color. 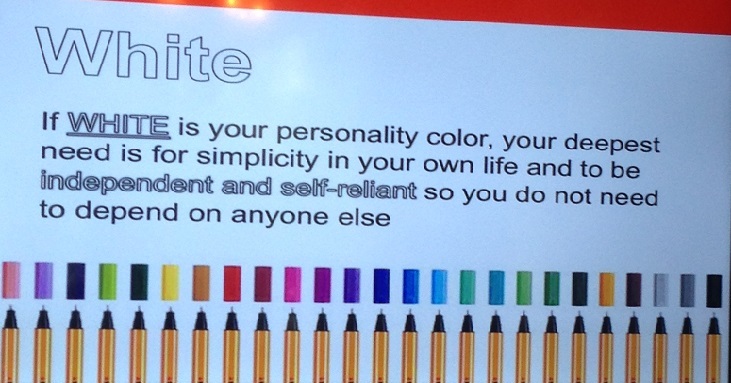 This was in line with STABILO’s campaign to share the importance of color! 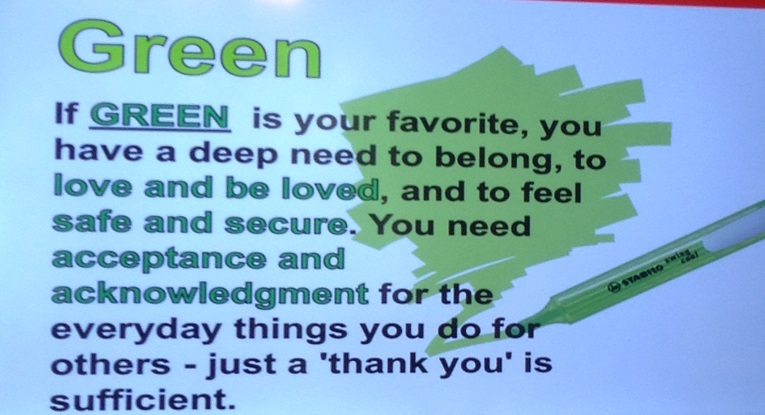 People who love GREEN have a deep need to belong, to love and be loved, and to feel safe and secure. You need acceptance and acknowledgement for the everyday things you do for others – just a ‘thank you’ is sufficient. So, do you think these statements are true? Did you know all these things about Stabilo? Did you know that they had all of these products? Check out the different products. 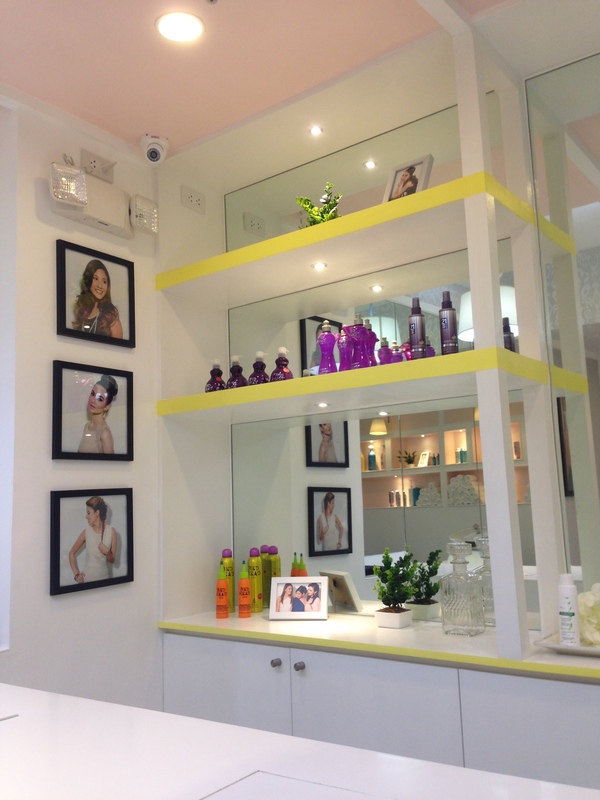 Most of the products are available in Rustan’s. Some are available in National Bookstore.